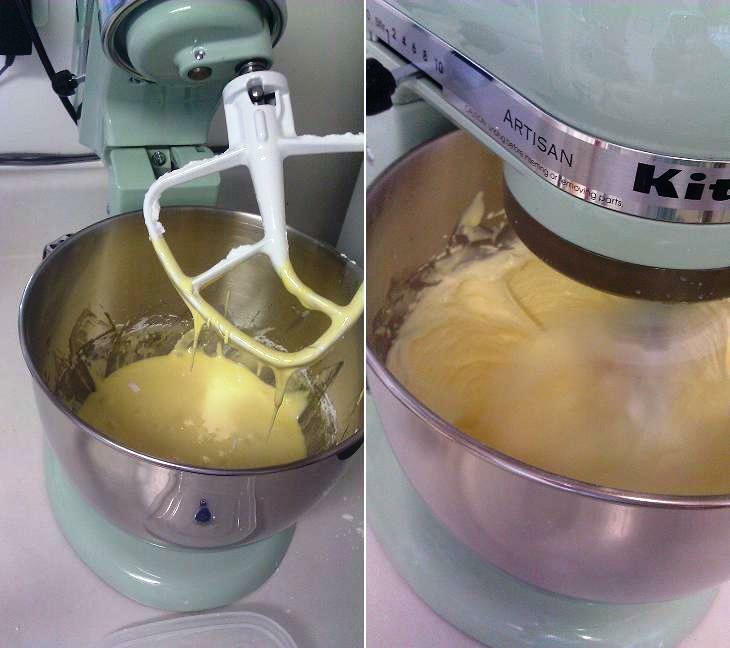 So … after much thought and consideration … my lovely mixer has been named! Originally suggested by KA, Alice is, in my opinion, the perfect mix between proper lady and partner-in-crime. And it shortens nicely to Allie when the mood strikes. Lauren said it was masterful. That’s enough for me! Sunday afternoon, we began our first adventure together. The plan had been to do a batter bread Saturday afternoon, but yeast buying mishaps put that on the back burner, and we turned toward that ever beckoning mecca of the stand mixer: dessert. 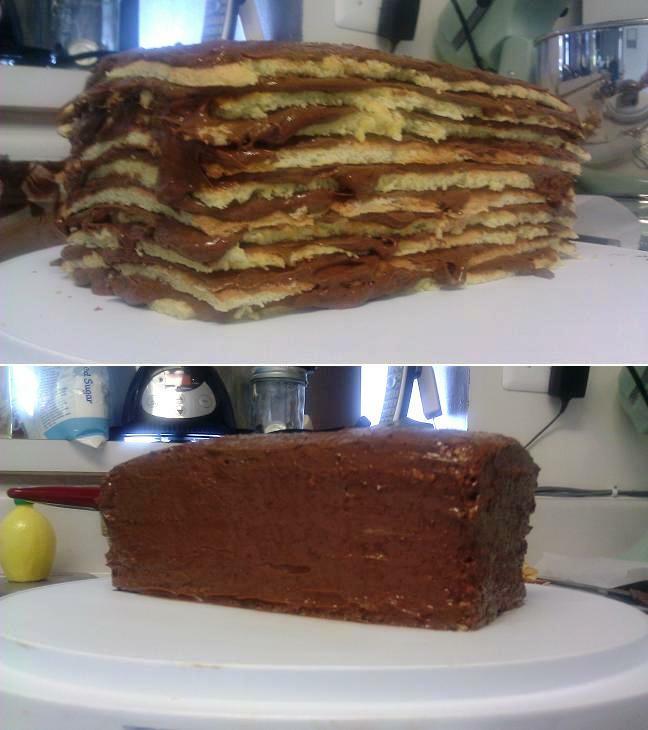 While browsing Smitten Kitchen, looking for tips for the best’s sister, Felicity*, I came upon this recipe: the Dobos Torte. 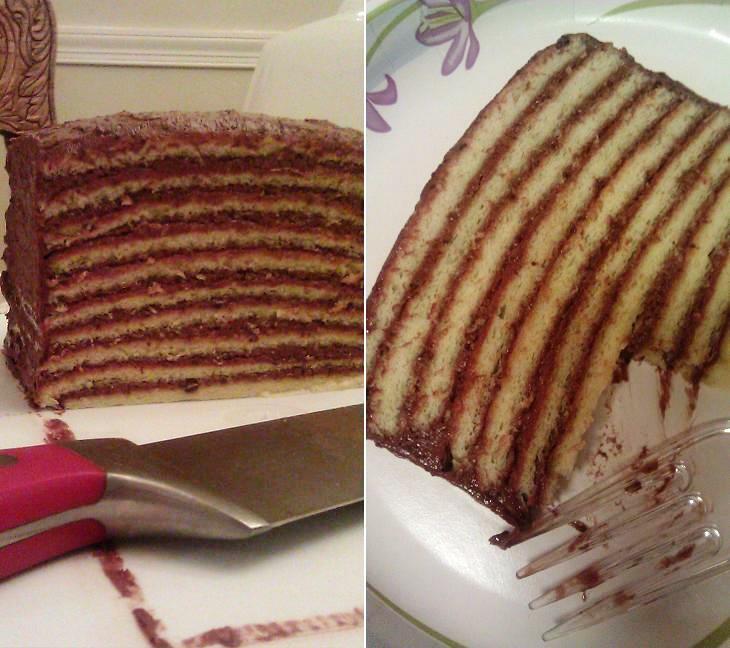 It’s a super famous Hungarian cake and … being Hungarian and all … I’d eaten it growing up. It was fancy looking, and a little daunting, so of course I decided to try it. 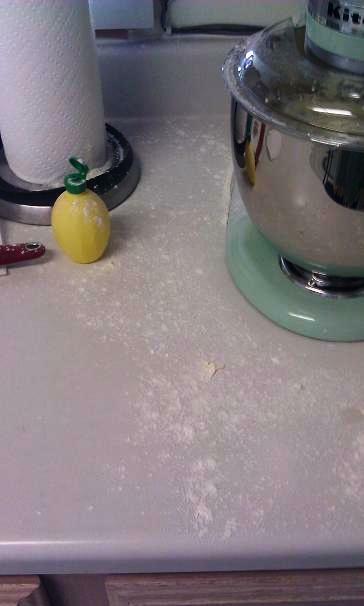 Clearly, no inaugural use would be complete without throwing flour all over the kitchen. If you think this is a mess, you should have seen my apron. Apparently this is Alice’s idea of a joke. You guys, for all the daunting directions, this cake was SUPER easy. Can you separate eggs? Yes? You’re set. No? Well, you’ve got 13 to practice on. It was the most complicated part of the entire thing. And yielded such lovely photos as the one on the left, above. Seriously … mix away! Whee!! 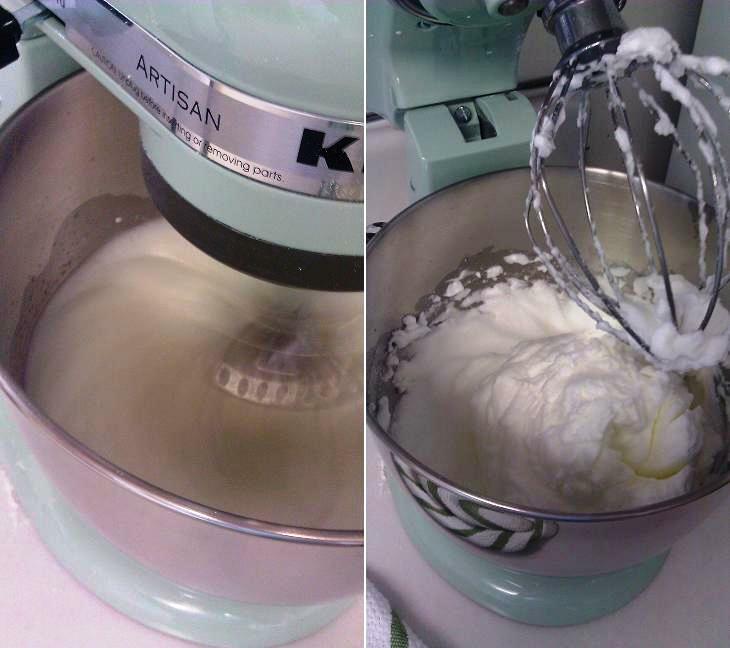 The most DIFFICULT part had to be stirring the batter. Deb warns that before folding in the whites, the batter will be the consistency of mortar. She’s NOT KIDDING. My arms got a workout, just getting ANYTHING mixed in. Then again, this also provided folding practice … something I do NOT get enough of in my kitchen. I need to remedy that. Baking took 5 minutes. Seriously. 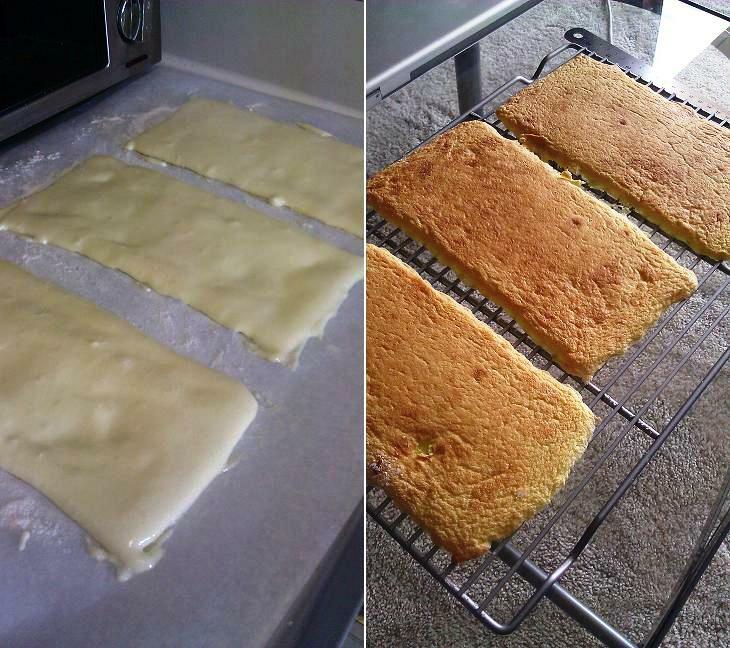 I’d never done a sponge cake recipe before … so the idea that I had to actually shape the cake on a cookie sheet threw me off a little. But it didn’t run, and it baked relatively flat. Win! Cooling took just another 5 minutes (I did multiple sheets of layers, so each cooled while the next was baking.) This reminds me … I need to get another cooling rack, so I can cool more at a time. Limitations in baking are no fun. While the baking was going on, I pulled together the frosting/filling. Yes, it really only took 10 minutes. 5 to melt the chocolate. 5 to whip it all together. Easy easy. From there, it was stack, frost, stack, frost, stack, frost, done! 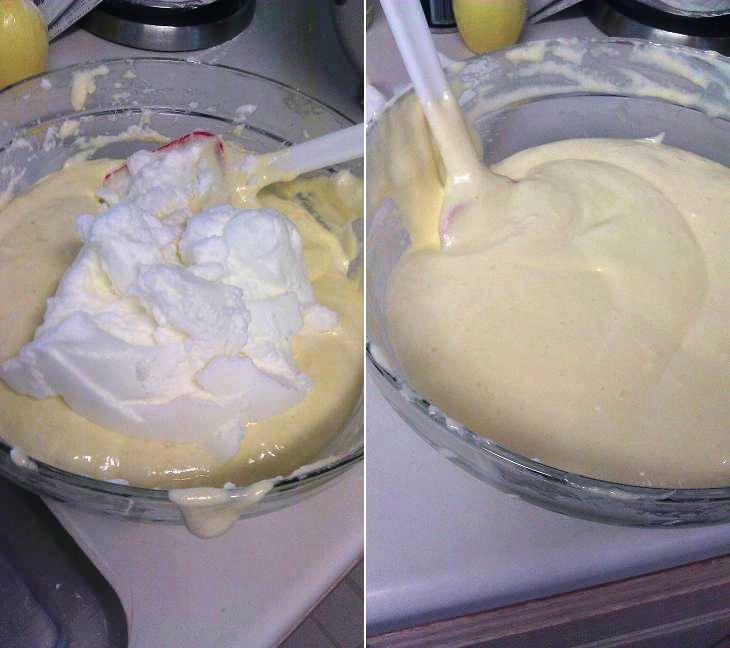 I had enough batter to make 10 layers … so I used them all. The end result was a little goofy looking (I didn’t make enough frosting, so had to really stretch there at the end), but I had high hopes. Monday night was the moment of truth. I took it to dinner with my bible study group, and served it for dessert. As I cut the first slice, I was holding my breath … but look what we saw!! I think Alice and I are going to be the best of friends. Ohh that looks divine and so makes me want to go bake something. I always find that things other people think were complicated to make are really super easy. The secret is letting them continue to think you slaved over the creation for hours and are simply a mad cooking genius. 😀 fantastic! i want to try this now. and yes, any recipe suggestions would be much appreciated. I just had to admit, that I completely forget Alice was my suggestion. I lost my brain in the wedding and have yet to get it back. 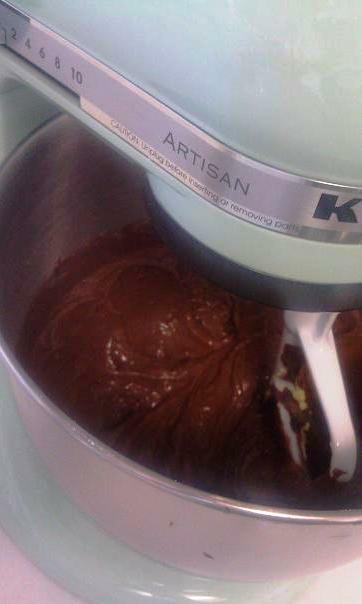 You totally get naming rights on my first KitchenAid in like 2 years!